It was almost a decade ago since the struggle began to end the misuse of the Olive Street Park site, which was donated by the Woods-McKee family in 1909 to be used for a public park, but which the city for decades allowed to be misused as a private parking lot. It took probably over 100 E-mails & other correspondence, numerous meetings with city staff and the city attorney’s office; several Uptown Planners and City Council hearings, and finally a lawsuit by the city; but it now appears Olive Street Park is on its way to becoming a city park, as originally intended almost 100 years ago. City Engineer & Capital Projects staff and consultants KTU+A have been contracted to develop plans for the park, and attended the December 2016 Uptown Planners meeting. A major catalyst for making this happen was KUSI investigative reporter Michael Turko, who did four or five stories about the issues regarding the park, and kept the public spotlight on the effort. Three of the Turko File stories about the Olive Street Park saga are attached below. Dorian Hargrove from the Reader also did a seminal story in 2008 which is pasted below. Also major credit goes to attorney Don Liddell, and the board of directors of the Metro San Diego CDC and the Bankers Hill/Park West Community Association, for their leading this effort. Uptown Planners also made things happen despite opposition from the attorney for the private party using the land as a parking lot. (1.) 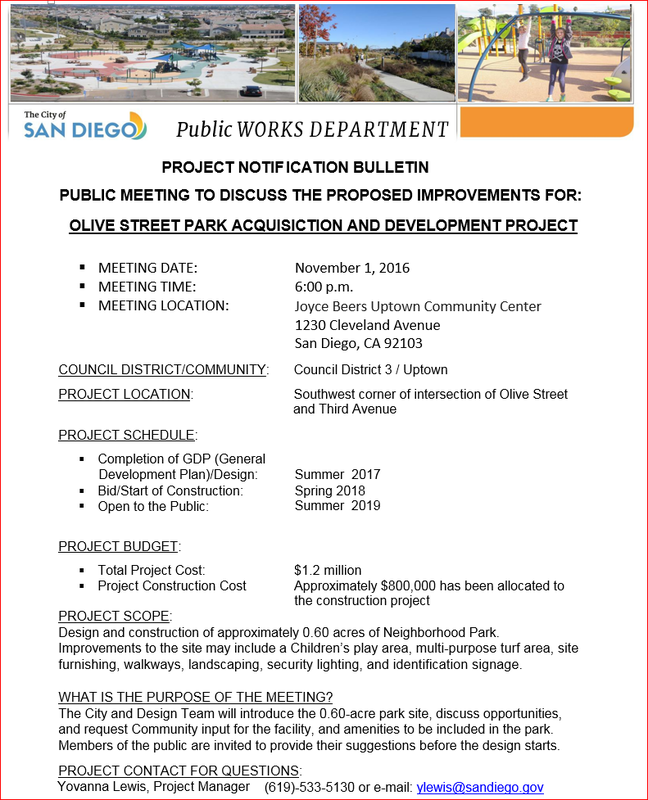 As the lawsuit by the adjacent property owner on the north side of the proposed Olive Street Park has been resolved, the Metro San Diego CDC requests the City of San Diego move forward expeditiously with the planning and community outreach process for development of the proposed park. Pursuant to City Council Policy 600-33; Uptown Planners; the local community planning group, will act as the designed park advisory body for the community outreach process. (2.) The Metro San Diego CDC further recommends that the City of San Diego consider purchasing the building on the north side of the proposed Olive Street Park (owned by Dr. Brandon), and incorporate it into the park. Bankers Hill/Park West generated development impact fees and any other appropriate funding sources should be utilized to purchase the property. This is an important urban park project, located in a community with a significant amount of new development being built. In the midtown community of Banker’s Hill, a convertible Mercedes drives down Olive Street straight through the intersection with Third Avenue and onto a narrow paved driveway. The car coasts past a wooden sign displaying the names of three medical offices, loops around a light post, and parks in a shady spot, under the canopy of a eucalyptus growing above the slope of Maple Canyon. For patients and employees of the medical center and many residents of Banker’s Hill, the piece of land abutting the building, 80 feet wide by 120 feet long, is nothing more than a driveway and parking lot, flanked on one side by the low-growing shrubs in front of the building and on the other by an area covered with wood chips, recently landscaped with small trees and perennials. But for many other residents, the land is dedicated parkland that has been mishandled by the City for the past 99 years and misused by the owner of the building for the past 45. During the next 51 years, the land remained undeveloped, used only to access the backyards of the three neighboring properties — the Wood house to the north and the McKee and Ford houses to the south. In 1963, Dr. Milan Brandon and his land-investment firm, Beaver Investment Corporation, purchased the northern lot, overlooking Maple Canyon. Brandon went to the City to request access to Olive Park for purposes of ingress and egress to his property and asked permission to ignore setback requirements so that his new medical building could be built up to the edge of the donated piece of land. During the next decade, Brandon built his medical office from property line to property line and developed the adjacent land. He paved more than a third of it, laying down a circular driveway large enough for four parking spaces and extending the driveway to the back of his building, where cars enter the underground parking garage. He put in a wall, excavated a palm tree in favor of the light post, and planted the area in front of the building and south of the parking lot. The City’s Park and Recreation Department responded by looking into the intent of the permit and the condition of the land. In 1975, two letters were sent to Brandon informing him of the department’s concern. The City, however, began to question what should be done with the property. Just months after Mendoza sent his letter to Brandon, city staff recommended to the Central Area Committee (a community advisory group) that Olive Park be deleted from the park department’s inventory. 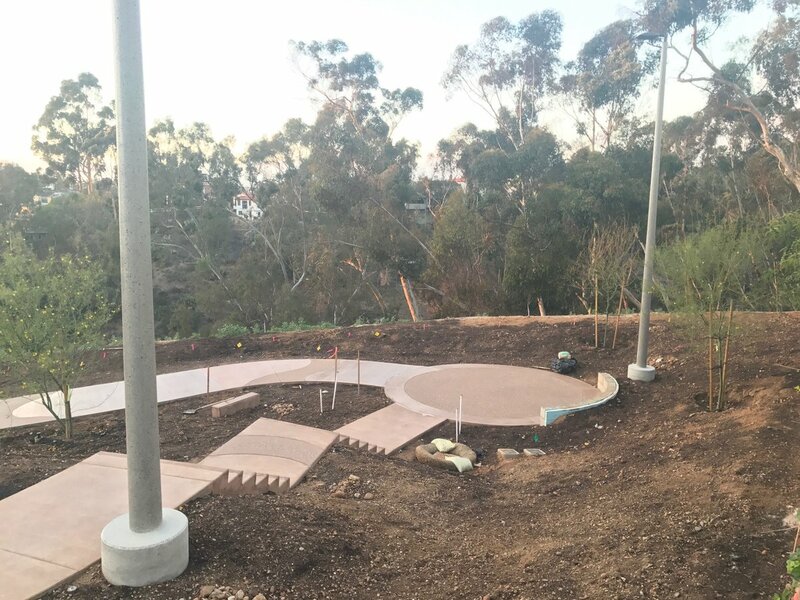 According to city records, the committee considered the park too small, too close to Balboa Park, too costly, and too dangerous, as much of it was canyon slope. But after “heated and intense discussion,” the committee voted to keep the park. Frustrated with the City’s indecision, the McKees sued the City in 1981, claiming reversionary rights on the property due to improper usage. To Wilson’s surprise, in May of this year, Park and Recreation representative Debra Sharp showed up unannounced at the monthly meeting of the Uptown Planners to discuss options for Olive Park, despite the fact that the item was not on the agenda. Wilson said he felt as though the City was “passing a hot potato” to the planning group because the City wasn’t sure what to do with the land. Wilson was even more astounded to see KUSI News investigative reporter Michael Turko arrive at the meeting to report on the issue. Responding to the newfound interest from the City and local media, Wilson, along with fellow boardmember and law professor Don Liddell, took the initiative and spent the following months reviewing the court’s 1981 decision and visiting the city attorney’s office for advice. Armed with new information and reassurance from the city attorney’s office, Wilson and Liddell were prepared to make a recommendation. The City gave them four options to choose from. The first three involved selling all or portions of the park to Brandon. The last option included charging Brandon rent for his use of the land, as well as enlarging the park through a City purchase of two adjacent vacant lots to form a one-acre park called Wood/McKee Community Park. In August, Uptown Planners voted 13–0 in favor of the last proposition. Mark Brandon, son of Milan Brandon, says there are some misconceptions about the property and how his family has managed it over the years. “One of the pieces of misinformation is the idea that the McKees and the Woods gave the property to the City as a gift,” explains Brandon. “It’s a misleading way to portray it. What really happened was all of the families were using Olive Park, or then Olive Street, to get to their properties, just as we use it today. Somewhere along the way, one of the families suggested to the City that they close the paper street. If the City closed the paper street, then the homeowners agreed not to take the property. What they proposed to the City was, if you close the street, when the property comes to us we will give it back to the City and the City would keep it as a park. So that’s how the property got created as Olive Park. When that happened, the families still used the land exactly as they had before, and everyone just used it that way for decades. Nothing really changed. When we bought our property, we bought it with the understanding that we would always continue to use it the same way they had. The existing monument to Waldo Waterman in the second picture will be moved to the center of the park. On October 10th, AIDS Memorial Committee, chaired by Katherine Stuart Faulconer & Nicole Ramirez-Murray, made a presentation to the Metro San Diego CDC about creating a permanent memorial to those affected by HIV disease and AIDS in San Diego. 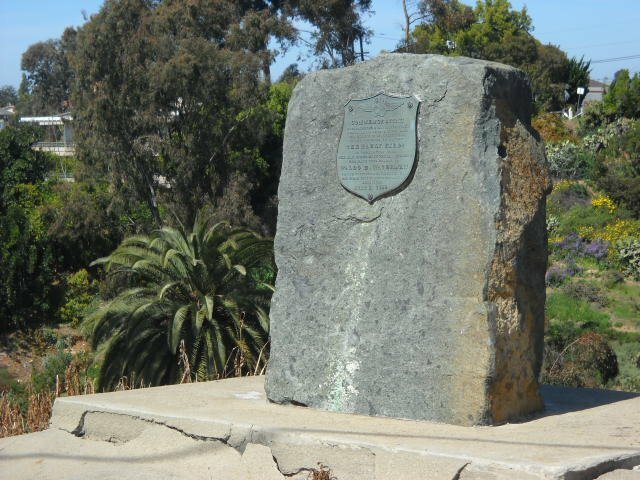 A portion of the Olive Street Park site in Bankers Hill is currently under consideration for the location of the AIDS Memorial; The Metro San Diego CDC unanimously endorsed placing the AIDS Memorial at the Olive Street Park site on May 9, 2016. The Metro San Diego CDC, and its predecessor the Bankers Hill/Park West Community Association, have spend the better part of a decade battling to establish the Olive Street Park, which will be named the “Woods-McKee Park”, after the family that donated the northern parcel of the future park to the city almost 100 years ago. The City of San Diego purchased the southern parcel of land that will be an additional part of the park several years ago. The Metro San Diego CDC remains strongly in favor of placing the AIDS Memorial in Olive Street Park, and supports the AIDS Memorial Committee, the Mayor, and City Councilmember’s Gloria’s recommendations to place the AIDS Memorial at this location. A presentation by the San Diego AIDS Memorial Task Force was made at a recent meeting of the Metro San Diego Community Development Corporation (Metro SD CDC). The task force — co-chaired by San Diego’s first lady Katherine Stuart Faulconer and longtime activist and San Diego City Commissioner Nicole Murray Ramirez — has led the charge with raising awareness, fundraising and finding a permanent home for the memorial, which would honor thousands of San Diegans who lost their battle with the disease. (l to r) San Diego’s First Lady Katherine Faulconer and City Commissioner Nicole Murray Ramirez, co-chairs of the San Diego AIDS Memorial Task Force, shown on stage at the recent B-52s concert fundraiser. “[Today] families don’t have a place to go to remember their loved ones,” said Susan Jester, the representing member of the AIDS Memorial Task Force at the meeting. Jester, along with Katherine Johnston and Jen Lebron, representatives of Mayor Kevin Faulconer’s office, appeared Oct. 10 before the group to give an outline of the AIDS Memorial project, planned to be located in a Bankers Hill park. The Metro SD CDC is a nonprofit that serves the Uptown communities of Bankers Hill/Park West, Five Points/Middletown and the western slope neighborhoods of Mission Hills. Metro SD CDC administrator Leo Wilson had invited the task force to the Oct. 10 meeting, to meet the development group in person. In a meeting last May, the Metro SD CDC had endorsed the preliminary plan to posit the memorial in Olive Park. A small parcel of land within Maple Canyon near the corner of Third Avenue and Olive Street in Bankers Hill, Olive Park is close in proximity to Truax House, the former home of Dr. Brad Truax and the first facility to offer AIDS-related services. A total of 8,000 people have died in San Diego of AIDS/HIV since the 1980s, Jester said at the Metro SD CDC meeting, adding that San Diego is the only large American city without an AIDS/HIV Memorial. Jester founded Walk for Life in 1984, the precursor to what is now called AIDS Walk and Run San Diego. The memorial will come one step closer to being a reality Nov. 1, when the Uptown Planners meet at 6 p.m. at the Joyce Beers Uptown Community Center in Hillcrest listen to plans for the long-awaited park. Katherine Stuart Faulconer and Nicole Murray Ramirez, co-chairs of the San Diego AIDS Memorial Task Force, were unable to attend the meeting with SD Metro CDC, but will be at the Uptown Planners meeting, which is open to the public. The total project will cost $1.2 million and will take 25 months to build, said Johnston, a planner in the mayor’s office said, at the meeting. The memorial would open to the public by summer 2019. Peter Comiskey, Director of the Balboa Park Cultural Partnership, spoke at the September 12, 2016 Metro San Diego CDC meeting: Comiskey also spoke on behalf of Balboa Park United, a coalition of Balboa Park’s cultural institutions and support organizations, which are supporting the Plaza de Panama project. The Metro San Diego CDC previously voted to support the Plaza de Panama project moving forward (see letter below), and is participating in Balboa Park United. The Metro San Diego Community Development Corporation Board/ Charter Committee voted 17-1 to reaffirm its support for the Plaza de Panama Project, as originally proposed by Dr. Irwin Jacob; and to request that, as the litigation regarding the project has been resolved, the Plaza de Panama Committee move forward with building the project as originally approved by the San Diego City Council on July 9, 2012. I am writing this message to you in an effort to communicate the vision that I have for the Truax House property. I believe that we would all like to ensure that the transfer of the Truax house property results in the highest and best outcome for the greater benefit of our community. I envision a project that respects the historical context of the Truax House and that also facilitates a center that provides both education and a center that serves as a memorial for patients that were given a place of soul healing and comfort in their final days. It is vital that our city’s historic resource is preserved and restored, dedicated in the same spirit that Dr. Brad Truax brought to the citizens of San Diego. Coupling the historical significance of the site, incorporating a community and visitor center, and adding much-needed market and affordable units, we hope to have the opportunity to build a meaningful project that will add value to the greater community. I am interested in creating a long-term project that may live on as a cultural asset for years to come. Vital for my vision for the property is the preservation and restoration of the Truax House. I believe this is not negotiable as we need to protect this resource that is a part of San Diego’s philanthropic history. I also believe that an interactive visitor center with elements such as a timeline for the Truax House’s history may be a welcome addition for the property. Also in the center, I believe some sort of memorial for Dr. Brad Truax as well as his patients should be created. We have already been proactive and have prepared a detailed historic report for the City of San Diego and are hoping to have a determination within the next few weeks. Given my track record of revitalizing aged and historic homes while creating financially feasible projects, I would be honored to perform a restoration for a significant cultural icon. As demonstrated in both my Union 4 project just one block away and my Sofia Lofts project in Golden Hill, my firm and myself have been proponents of preserving the architectural fabric of our neighborhoods while also developing architecturally significant and inviting spaces that complement, not overpower, the historic structures. I have been proactive with the historic status of the property and have initiated the preliminary process with Historic Resource to ensure the preservation of the Truax House. I am more than happy to share the submittal with any interested parties. The Truax House sits on a gorgeous site with views out to the San Diego Bay and Downtown as well as Maple Canyon. Creating a community center with a multi-purpose room and drought tolerant garden area would prove as a great space for tenants, non-profits and community organizations to enjoy. This aspect would continue the tradition started on the property by the AIDS Foundation in Dr. Truax’s spirit with values of welcoming and openness for the community. A section of this space may be reserved as a public art gallery that could house different local artists’ work throughout the year. Maple Canyon is beautiful open space that is not utilized enough by the community. This may be partly due to the fact that finding an inviting passage into and through is not easy. Opening up access through the Truax property would connect two public resources in a meaningful fashion that allows both places to be experienced more pleasantly. While this part of our proposal has some nuance of having the adjacent property owner agree to similar goals of giving the public a charming access to Maple Canyon. We are dedicated to working closely with the private property owner next door in putting together the required public access easement as this will bring a tremendous benefit for the community as a whole. In order to create economic value on the site, I would like to build boutique apartments on the site with 10-15% of the housing dedicated to low and/or very low income housing. It is no secret that we are experiencing a shortage of affordable housing in San Diego as well as market rate housing. This portion of the project will create the financial feasibility required to make this project happen. I plan on creating architecturally significant housing built to LEED sustainability standards that are in harmony and complement the Truax House similar to what we achieved our Union 4 and Sofia Lofts projects. The insignificant single family home on the corner of the property would be demolished for this new structure. We would also incorporate alternative transportation by providing electric vehicle chargers on site and implement a bike sharing program on the property. I have lived on Union Street for the past 3 years and see a potential of creating a community cornerstone on the Truax site. This area of Bankers Hill has been somewhat neglected after I-5 was constructed and I believe that my goals for the Truax property would encourage a stronger sense of community in the area. I invite anyone with interests in this property to support my plan and to be in contact if there may be any suggestions to encourage the spirit of creating a project that brings together a positive combination of private and public interests to create an environment that is a community asset. Please send me a signed letter addressed to the city if you support my vision for the future of the Truax house. I know that you are all busy so I have provided a letter template if you may like to use it. Thank you all for taking the time to read this message, I greatly appreciate your attention and sponsorship for our objectives. Nakhshab Development & Design, Inc. This letter is written on behalf of the Metro San Diego Community Development Corporation (“Metro CDC”), whose membership includes commercial, business and residential property owners representing over 20 full blocks in Bankers Hill/ Park West, and the Five Points/Middletown communities of Uptown. The Metro San Diego CDC has been following the progress of the planning for the Uptown Regional Bike Corridor project on Fourth & Fifth Avenues in Bankers Hill, and Washington Street & San Diego Avenue in Five Points and Middletown. This low ridership brings into question whether it makes sense to place bicycle lanes on both Fourth & Fifth Avenues, rather than a two-way lane on only one of the streets. Two-way bicycle lanes have successfully been installed in cities throughout the United States, and have proven both safe and popular. Seattle is an example of a city that has successfully installed a multiple two-way bicycle lanes. Likewise, a two-way bicycle lane would make sense on Washington Street, and might mitigate the need to cut into the slope on the south side of Washington Street. 4.) The north side of Washington Street is adjacent to a canyon in which there is disturbed riparian habitat, and that provides drainage to the adjacent hillsides. It appears the proposed bicycle lane at this location may encroach further into this area, which may impact sensitive lands, and raise drainage issues. These impacts should be studied and mitigated. The above issues need to be assessed as required by California Public Resources Code Section 201080.20.5, and appropriate mitigation provided, prior to the granting of a CEQA exemption for the Uptown Regional Bike Corridor project. In making this request, the Metro CDC is not opposing the Uptown Regional Bike Corridor project, and is on record in support of installing protected bicycle lanes along the corridors in question. It also believes a CEQA exemption may be appropriate at a later date. However, the Metro CDC believes the current request is premature. 1.) Attached is a copy of the “Neighborhood Report of Noise and /or Loud Amplified Sound During Special Events on the West Mesa” complaint form for Balboa Park special events. Loud noise and other related issues impact the eastern section of Bankers Hill. The West Mesa Subcommittee of the Balboa Park Committee is seeking to address this issue. To do this, we need feedback and reports from affected Bankers Hill residents, and so are requesting they complete and return the attached form. The complaints forms will be shared with city park staff and special event organizers. 2.) Construction is about to begin on the West Maple Canyon Mini Park; attached is a rendition of the future neighborhood park. It has been in the planning stage for almost 10 years. The Capital Improvement Program (CIP) project, West Maple Canyon Mini Park, is about to begin May 31st in your area (see attached map). The new park construction will include retaining walls, Fencing, paving, a new irrigation system, new lighting, Signage and ADA improvements. The historical monument will be protected in place along with the big tree to the SW of the lot. Construction will take 220 working days and performed by Tri-Group Construction & Development, Inc. The park will be beautifully landscaped and require 120 calendar days for plant Establishment. 3.) On May 9, 2016, the Board of Directors of the Metro San Diego Community Development Corporation voted unanimously to support placing the San Diego AIDS Memorial in the future “Woods/McKee Park”, now know as the Olive Street Park. The Woods/McKee family, who originally donated the land, and who spent many decades fighting have the their family’s donated land be made a park as intended; fully support the AIDS Memorial being placed in the new park. Your email about Dr. Truax was forwarded to me. One of the donors, my ggfather, Loren McKee, was a Methodist pastor. My grandfather Dempster McKee was Episcopalian as the family is today. Both those denominations have been on the forefront of inclusion and equal rights for the LGBTQ community. My grandfather Dempster openly opposed the Japanese interments during ww2 and represented Japanese Americans in lawsuits during that period despite the culture of bigotry. I think placing that memorial at Woods McKee park would be fitting and certainly more than acceptable to my daughter and I, who are not the only remaining family members but are the last to carry the name McKee. The Metro San Diego Community Development Corporation (“Metro CDC”) Board/Charter Committee discussed the proposal to place two recreation centers on the West Mesa of Balboa Park at its meeting on Monday, November 9th. Representatives of both the Balboa Park Conservancy and Friends of Balboa Park were in attendance. As Adriana Martinez, from the Third City Council District, who attended the Metro CDC meeting can attest, none of the 35 people in attendance at the Metro CDC meeting spoke in favor the placing the two proposed recreation centers on the West Mesa of Balboa Park. Instead there was strong opposition. 3.) That representatives from the Metro San Diego CDC/ Balboa Park stakeholders meet with the Mayor’s Office, City Council, and City staff to request the proposed recreation centers be removed from the draft Recreation Element of the Uptown Community Plan Update. I attended an event sponsored by the Balboa Park Cultural Partnership and the Balboa Park Conservancy on November 11th, at which over 100 people were in attendance. The Balboa Park stakeholders in attendance I spoke with all expressed opposition to the two proposed recreation centers on the West Mesa, and questioned why their organizations, which had done so much to contribute to Balboa Park, had not been consulted about the recreation center proposal. A major issue with this proposal is there has not been one organization or constituency group in either Bankers Hill or Balboa Park that I am aware of which supports the proposed recreation centers for the West Mesa. Planning staff needs to identify where this proposal originated; and why it was not reviewed by Balboa Park stakeholder organizations, like the ones mentioned above. 1.) 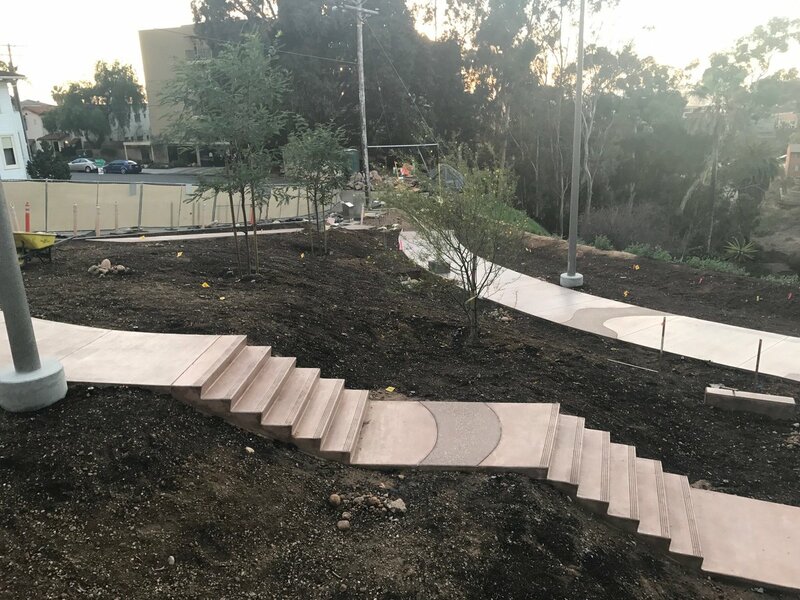 Olive Street Park (“Woods-McKee Park”): In 2008, a potential community park site, referred to as the “Olive Street Park”, was identified through the efforts of local community members and KUSI news reporter Michael Turko. The land had been donated to the City of San Diego for parkland in 1909; however, in 1963 the City of San Diego granted an adjacent property owner to encroach on the property, who used it for a parking lot. In June 2013 the City Council terminated the revocable permit that had been used by the adjacent owner to build the parking lot on the 16,000 sq. ft. parcel of land. The parcel was then included with two additional parcels of adjacent vacant land in the proposed Woods McKee Park (named after the families that had donated the land in 1909 for the park, and who are still active today in the effort to finally develop a park on the site. The City is now moving forward with planning and designing a park on the Olive Street Park site; a hearing on a lawsuit filed by the owner of the medical office building will take place in December 2014. Hopefully the Woods-McKee Park will be built and dedicated by 2016. 2.) Enhanced Lighting on Fifth Avenue: Fifth Avenue in Bankers Hill is turning into one of the City of San Diego’s premier restaurant districts. However, one concern that business and property owners, and residents, have expressed is how dark Fifth Avenue is at night. The Metro San Diego CDC is now working to establish a lighting district to install enhanced lighting along Fifth Avenue from Laurel Street to Upas Street. The effort is drawing wide community support; with strong support from the major property owners along this section of Fifth Avenue. Representatives of the Metro San Diego CDC have already met with city staff, and will be scheduling a meeting of Fifth Avenue property owners to discuss the proposed project in the Fall of 2014. The focus of the project is to install and maintain additional street on Fifth Avenue, and do it in a manner that will minimize the costs of the project to the property owners. The lighting district may be expanded to include portions of Fifth Avenue south of Laurel Street in the future. 3.) Development of West Maple Canyon Park: On July 1, 1909, shortly after the Wright Brothers historic flight, Waldo Waterman, an early San Diego aviation pioneer, flew a glider plane over Maple Canyon from a canyon top location at the intersection of Albatross Street and Maple Street in Bankers Hill/Park West. A plaque now exists at the site of where the flight commenced. The City of San Diego, working with the Bankers Hill/Park West Community Association, approved a General Development Plan for a proposed park at the site, a 9,000 sq. ft. parcel of open space land dedicated to the City of San Diego for park use in 2007. Planning for the proposed park is moving forward, and hopefully the project will break ground by 2016.